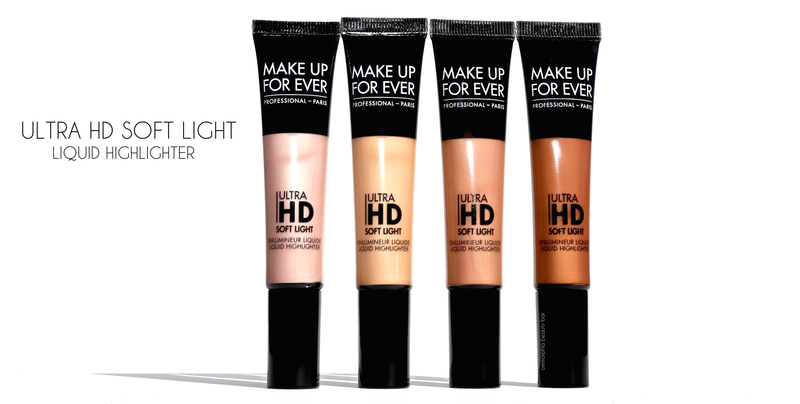 MAKE UP FOR EVER has just released two new products in their Ultra HD lineup: Underpainting Color Correcting Palette (available in 6 shade groups) and Soft Light Liquid Concealer (available in 4 shades), and while it might seem contradictory to show both, I personally feel that they nonetheless compliment each other quite well. But don’t take my word for it … read on to find out why I think so. 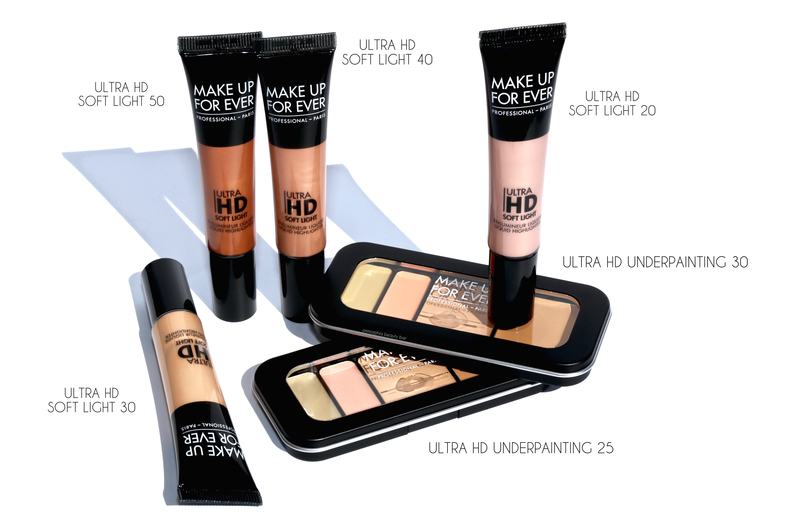 Ultra HD Underpainting Color Correcting Palette (CAN $53.00/each) | Available in 6 shade groups (not shown: 20 Very Light, 40 Tan, 50 Dark & 55 Deep), each slim compact has been designed with a specific complexion in mind, and includes 2 colour correcting hues along with 2 concealer hues, thereby providing you with several combinations along with customizable colour. As someone who tends to skip concealer (no dark circles to deal with, thanks in large part to genetics) I nevertheless appreciate the need for some colour-correcting, especially for those times of any unexpected breakouts (at my age….yeesh), or to camouflage any redness, particularly around the nose. 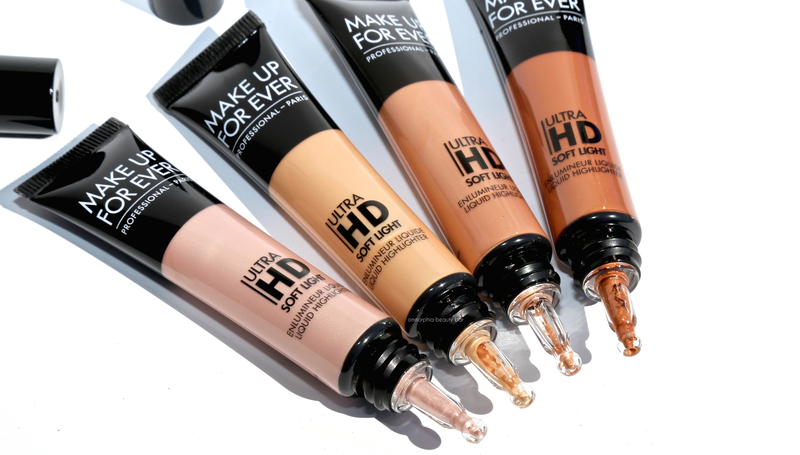 As to the concealers, the texture is not only super creamy yet thin enough to spread & blend effortlessly along the skin, but feels feather-light as well — not to mention also working double-duty as ‘spot-foundation’ (when you don’t want foundation all over, but still want to cover key areas). I especially love that I can mix the two shades to create a colour that’s close to my skin tone and since no ones complexion is 100% the same colour all over, you can adjust it as needed. Brilliant, no? Bonus: these thin-profile compacts are easily portable for on-the-go touch ups. 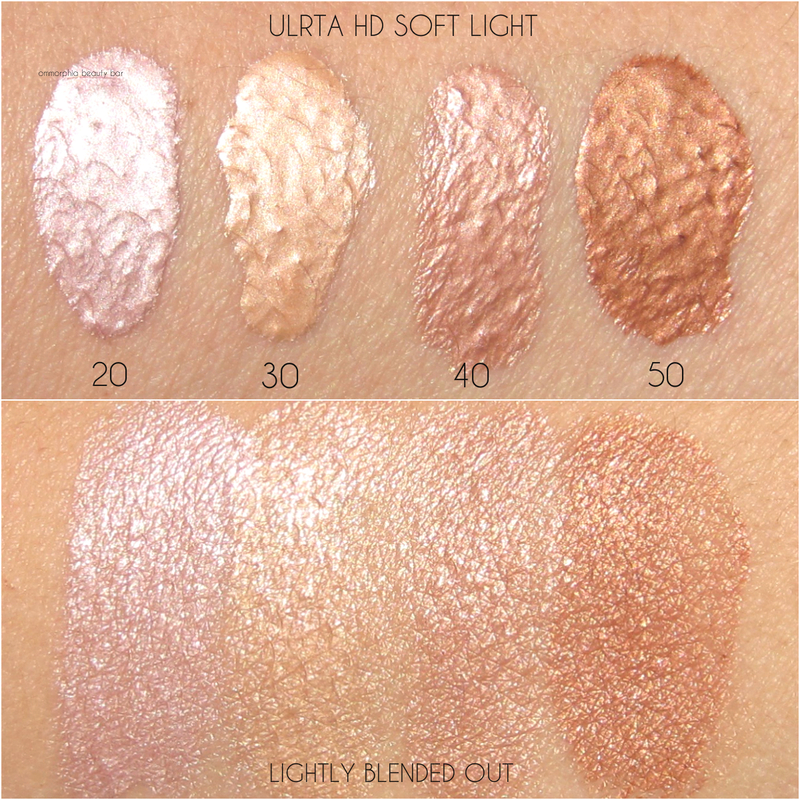 Ultra HD Soft Light Liquid Highlighter (CAN $36.00/each) | Ahhhh…highlighter, how do I love thee? let me count the ways. Ons second thought, scratch that — since I don’t want to spend the entire day listing how much I love me some strategically placed glow. 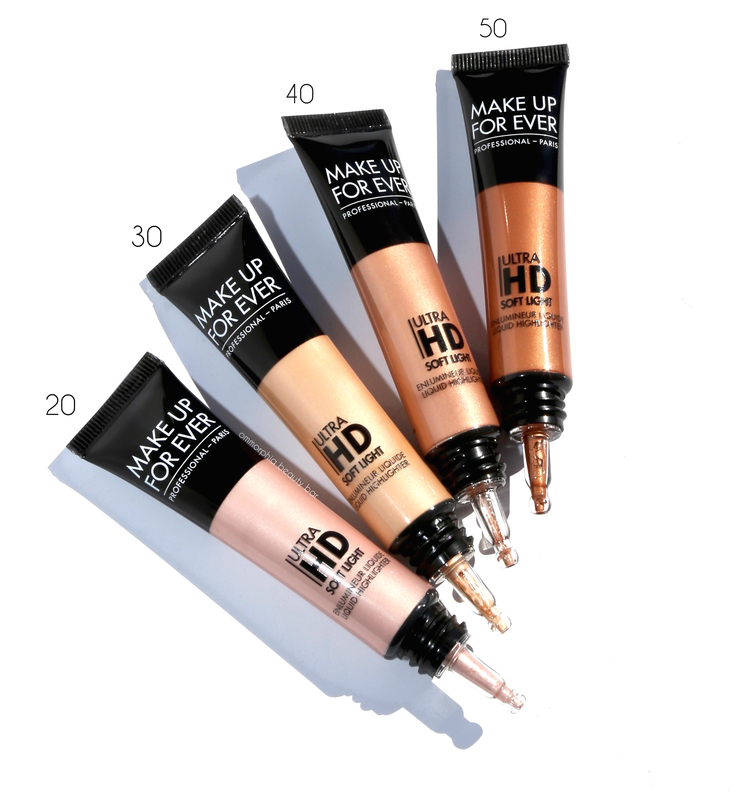 Moving along … these new liquid highlighters are unique in several ways. For starters, they come in liquid form housed in a tube, as opposed to a bottle with some messy dropper. Secondly, the hard plastic applicator ensures the product stays sanitary at all times — just make sure to wipe off any excess before capping. Then there’s the actual pure mother-of-pearl in the formula which provides a luminous lit-from-within kind of radiance. The texture is also interesting; as seen in the top swatch, the product appears quite intense and blinding, but once you blend it into the skin, you’re left with a smooth sparkle-free glow and that second-skin finish this brand has become known for. Staying power (over primer/foundation) is excellent as well, and never appears to oxidize in any way. PS: a little (as in scant amount) goes a long way, so tread carefully. In my opening paragraph I stated how well I felt these products go together — and the reasoning is simple: concealing & colour-correcting serve to ‘detract’ the eye away from any imperfections, but if you stop there you also run the risk of having your skin look a tad flat. That’s where highlighter comes in, to bring some much-needed brightness and light to key areas of the face, thereby adding back some contrasting visual interest. 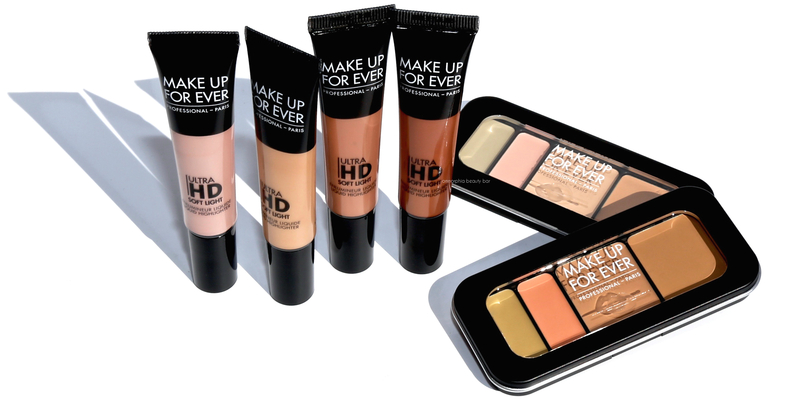 MAKE UP FOR EVER takes things up a few notches with both releases, giving us options with each travel-friendly Underpainting palette (which also happens to accommodate all skin tones across the board), and creating a Soft Light — highlighters that enhance, and never compete with the complexion. If subtlety isn’t your thing, don’t worry; the brand has many more high-octane options as well (see my post on the Star Lit range), but as today is the first day of Spring, I’m going to welcome the season with a whisper … and work my way up to a bang.